Be the first to share your favorite memory, photo or story of Carolyn . This memorial page is dedicated for family, friends and future generations to celebrate the life of their loved one. 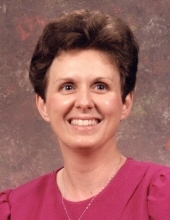 Mrs. Carolyn Faith Wilburn McCormick, age 69, of Olive Hill, Kentucky, passed away Tuesday morning, March 19, 2019, at the University of Kentucky Medical Center in Lexington, Kentucky. She was born October 15, 1949, in Carter County, Kentucky, a daughter of the late Gene and Faith Valandingham Wilburn. Carolyn was a member of the Gregoryville Christian Church and was employed at the Louisville Firebrick Works in Grahn, Kentucky, for over 50 years. She enjoyed going to work, listening to bluegrass music, dancing, reading, traveling, talking with her friends and having taco night with her family. Carolyn was a loving wife to Jim and they both shared a special bond with one another. She was loved by all that knew her. In addition to her parents, she was preceded in death by one son, Jeremy Gene Imel, and one sister, Susie Bond. Carolyn is survived by her husband of 30 years, Jim McCormick; two children, Andrea Brown and Jennifer Knight; nine grandchildren, Rachel Damron, Kaitlyn Conley, Danielle Knight, Rebekah Knight, Kenny Knight, Kaleb Knight, Sarah Marlow, Eleyna McCormick, and Cale Brown; six great grandchildren; one brother and sister-in-law, Keith and Rhonda Wilburn of Olive Hill, Kentucky; one sister, Linda Cecil of Olive Hill, Kentucky; and nieces and nephews, Stephanie Miller, Sara Wolfe, Chase Cecil, Chance Cecil, Katie Wolfe, Garrett Wolfe, Adam Miller, Lance Wolfe, Aden Miller, Brooke Wolfe, Sydney Cecil, Sylas Cecil, and Zade Cecil. She also leaves many other family members and friends who will sadly miss her. Funeral services will be held at 1 p.m. Saturday, March 23, 2019, at Globe Funeral Chapel in Olive Hill, Kentucky, with Brother Gary Sparks and Brother Ron Arnett officiating. Burial will follow in the Pleasant Valley Cemetery in Olive Hill, Kentucky. Friends may visit from 6 p.m. to 8 p.m. Friday, March 22, 2019, and after 9 a.m. on Saturday at Globe Funeral Chapel, 17277 West Highway US 60, Olive Hill, Kentucky 41164. Garrett Wolfe, Lance Wolfe, Adam Miller, Aden Miller, Chance Cecil, Chase Cecil, Patrick Thompson, and Caleb Kilgore will serve as pallbearers. "Email Address" would like to share the life celebration of Carolyn Faith Wilburn McCormick. Click on the "link" to go to share a favorite memory or leave a condolence message for the family.